Tip: Refund Stats. The average refund during 2016 was about $2,851. Once deductions have been subtracted, the personal exemption is subtracted. For the 2017 tax year, the personal exemption amount is $4,050, regardless of filing status. The tax code allows an individual to gift up to $14,000 per person in 2017 without triggering any gift or estate taxes. An individual can give away up to $5,490,000 without owing any federal tax. Couples can leave up to $10,980,000 without owing any federal tax. Also, keep in mind that some states may have their own estate tax regulations. Usually a child’s school-related costs are not deductible. However, one taxpayer was allowed to deduct the cost of travel, room and board as a medical expense for sending their child with respiratory problems to a school in Arizona. Say a married couple, filing jointly, in 2017, had a taxable income of $175,000. 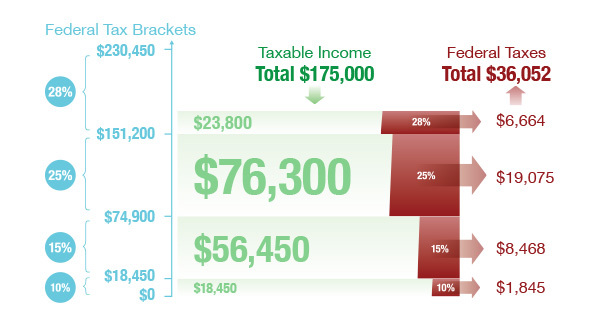 Each dollar over $153,100—or $21,900—would fall into the 28% federal income tax bracket. However, the couples' total federal tax would have been $35,885—just about 20%, of their adjusted gross income. 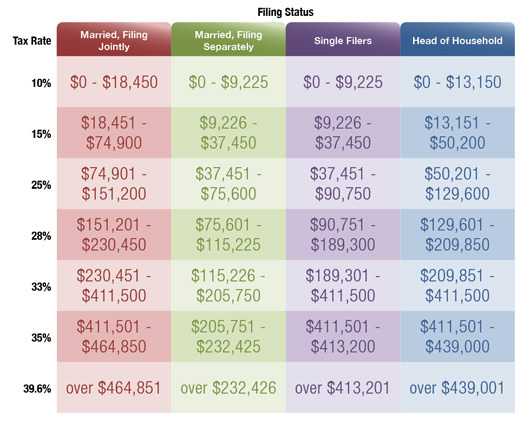 For the 2017 tax year, there are seven tax brackets for ordinary income — ranging from 10% to 39.6% — and four classifications: single, married filing jointly, married filing separately, and head of household. 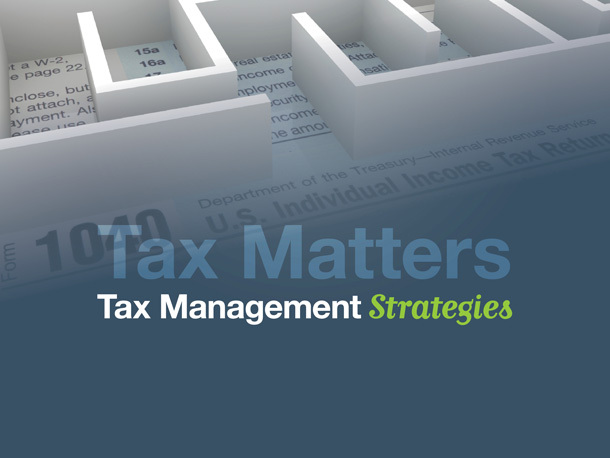 Most audits don’t involve face-to-face meetings with IRS agents or representatives. 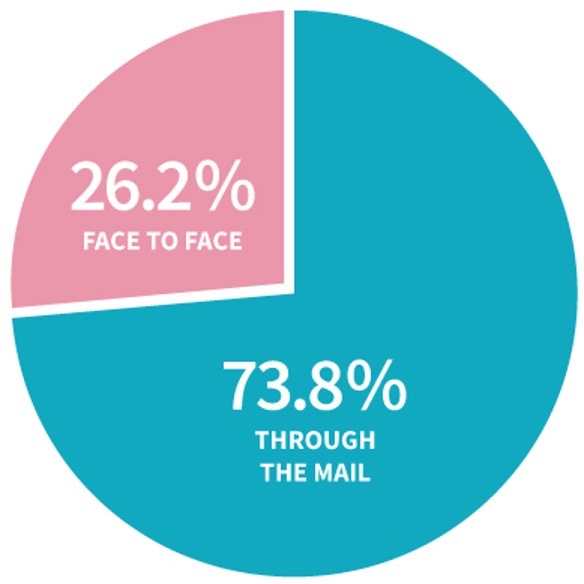 In 2015, the latest year for which data is available, 71% were actually conducted through the mail; only 29% involved face-to-face meetings.